There were a few exciting games taking place on Tuesday night in the NBA and it looks as though there will be a few more on Wednesday night. 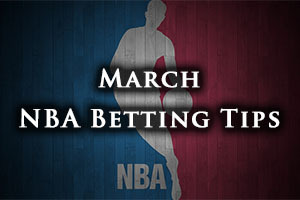 This means that the midweek NBA action is more than enough to keep you coming back for more and giving you plenty to bet on. The Pacers grabbed a great home win against the Magic, winning by 118-86 against the team from Orlando. The Mavericks were dismantled in Dallas with the Cleveland Cavaliers running amok, finally winning by a score of 94-127. The Jazz won a close game against the New York Knicks, triumphing by a score of 87-82. The Nets were downed at home by the Pelicans, with the New Orleans team winning by 91-111. The Spurs were comfortable with a 117-107 win against the Raptors in San Antonio and the Lakers had enough about them to defeat the Pistons by a score of 93-85 in Los Angeles. Dealing with injuries is part and parcel of the NBA season but it is fair to say that the Chicago Bulls are experiencing a particularly rough time of things at the moment. Having one of your top scorers out is unfortunate but something that most teams will have to face at some point. Having two of your top scorers unavailable is certainly difficult but when you have three of your top five scorers unavailable to you, you may start to think if there is some form of curse falling upon you! The Bulls are still looking like a team aiming for a high ranking seeding in the Eastern Conference but with Derrick Rose, Jimmy Butler and Taj Gibson all injured, they will need to rely on other players against Philadelphia. This may be the sort of match that you think you can overcome with a number of injuries but there is no doubt that the 76ers will view this as an ideal chance to grab a win that may have been beyond them in normal circumstances. The Bulls have a 39-26 record at this point of the season and this includes a 19-12 record on the road. The Bulls have lost in their last 3 games, including a home loss to Memphis on Monday by a score of 91-101. The team has a 5-5 record in their last 10 outings. The 76ers have a 14-49 record this season and this includes a 9-22 record at home. The 76ers won their most recent game, a home win against the Hawks, defeating the team from Atlanta by a score of 92-84. This was a boost but the team still has a 2-8 record in their last 10 games. For average points scored, the Bulls are clear leaders, 100.9 to 90.6 while for average points allowed, the Bulls have the edge 98.8 to 100.7. As already stated, Taj Gibson, Derrick Rose and Jimmy Butler are all likely to be out for the Bulls although Gibson isn’t too far away from returning to the squad. The 76ers are dealing with slight knocks for Jerami Grant, Jason Richardson, Nerlens Noel and Isaiah Canaan while Joel Embiid has a slightly more concerning injury. 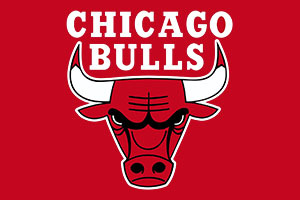 Taking the Bulls with a -5.5 handicap, at odds of 1.90, should be a good bet for the midweek NBA betting action. Bet Now! Russell Westbrook served up yet another triple-double for the Thunder and the loss of Kevin Durant hasn’t been as bad as anyone at the Thunder may have thought it was going to be. The Clippers have their own injury worries and while they have managed well without Blake Griffin, they may have to plough on without Chris Paul as well, causing a great deal of problems for the team. This could be a game where the team who readjusts their squad best will grab the win. This is the third and final team these teams meet at this stage of the season and if Westbrook lights up the game once again, it is likely to be the eight home in a row for the Thunder. The Clippers have a 41-23 record this campaign and this includes a road record of 17-14. The Clippers won in their most recent game, defeating the Timberwolves by a score of 89-76 on Monday. The team from Los Angeles has a 6-4 record in their last 10 games. The Thunder has a 35-28 record so far this season and this includes a 21-8 record at home. The Thunder won their most recent game, defeating the Raptors at home by a score of 108-104 on Sunday. This put the Thunder onto a 7-3 record in their last 10 games. For average points scored, the Clippers hold the advantage 106.00 to 102.3 while for average points allowed, the Thunder have the slight advantage, 99.6 to 100.0. The Clippers are likely to be without Blake Griffin, Jamal Crawford and Matt Barnes while Chris Paul is being closely monitored. The Thunder are trying to battle on without Kevin Durant and Steven Adams. Taking the Thunder at -7, with odds of 1.90, is likely to be a good bet on Wednesday. Bet Now! The Rockets look forward to welcoming Dwight Howard back soon but the Trail Blazers are going to be without Wesley Matthews in a game that will really test their backline. This is a game between teams who have both clocked up more than 40 wins this campaign so it should be an exciting match. The Rockets hold a 43-20 record this season which includes a road record of 19-11. They have won their last two games in a row, including a Saturday win in Denver, beating the Nuggets by a score of 100-114. This moved the Rockets on to a 7-3 record in their last 10 games. The Rockets are struggling with injuries to Patrick Beverley and Terrence Jones while Dwight Howard is out. Taking the Rockets with a +3 handicap, and offs of 1.90, is a good way to increase the excitement for your Wednesday night NBA betting. Bet Now!